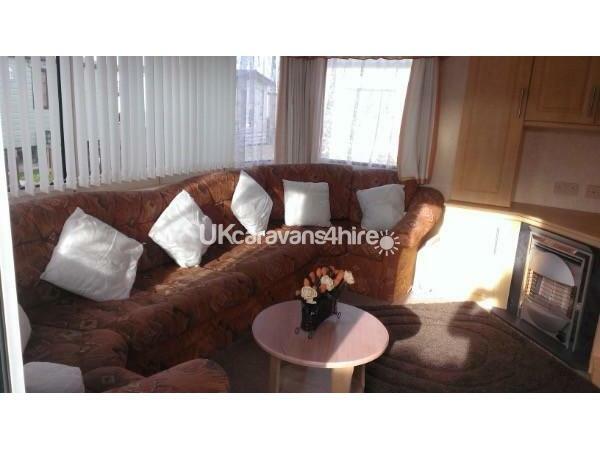 6 berth caravan for hire on Golden Gate Holiday Centre. Very high ceiling and wide kitchen, fully equipped. 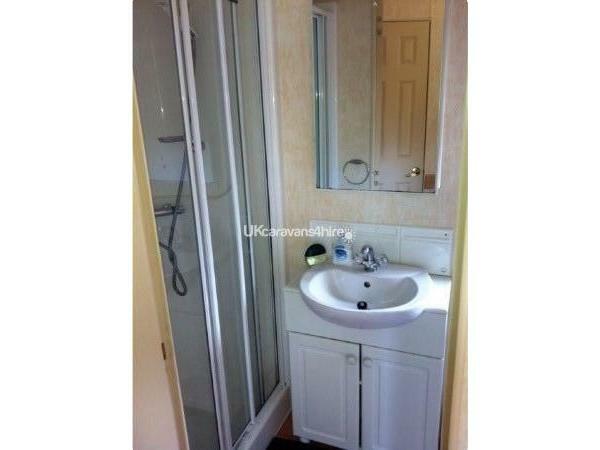 One large bedroom with en suite, one bedroom with 2 beds. Both rooms with blow air heating. 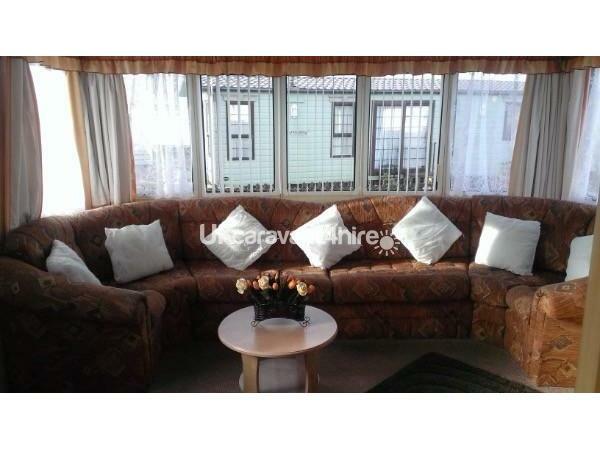 Pull out double bed within the lounge area. TV with built in DVD. The caravan is located in the horse shoe area with no through road which helps with the safety of younger children. A large veranda with table and chairs, the site has a club, entertainment, chippy laundrette, park for children, football or basketball area, no passes needed, situated a few hundred yards from the sea and funfairs of which there are 2. Large market.